When: Thursday, April 4, during the school day and 6:30 pm – 8 pm, with dinner from 5:30-6:30. Inventions and projects: 1st-5th grade students will design their projects at home and bring them to school on the day of the Fair. Teamwork and everyday materials are encouraged (aluminum foil, paper, glue, paper clips, cardboard, tape, Q-tips, coffee stirrers, milk jugs, etc.!). Inventors will be given a dedicated presentation space in the auditorium on Fair day and present their projects to fellow students and teachers. 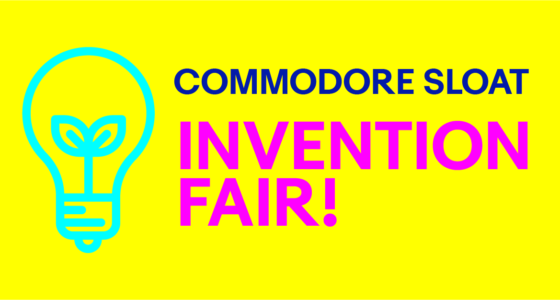 All classrooms will visit the Invention Fair during the day. We welcome all parents and guardians to attend the evening session. Look for the Invention Fair flyer in your Wednesday envelope!